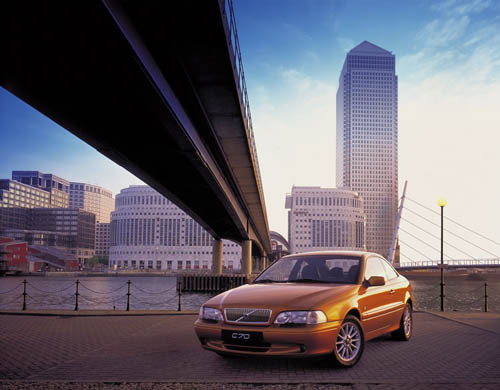 2002 – Volvo C70 at Bank Street at Canary Wharf in London, UK. This location is on Bank Street at Middle Dock, in front of the current 25 Bank Street building, the European HQ of J.P. Morgan & Co., just between the Heron Quays station and the Canary Wharf station of the Jubilee line. 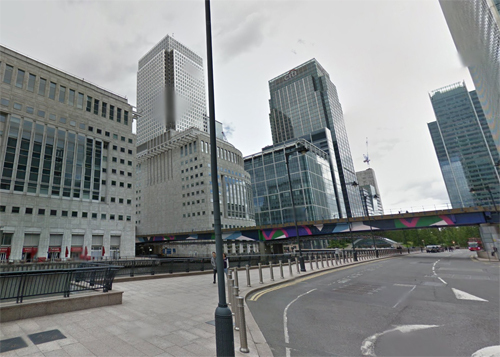 The building shown in the photo with the C70 are the Reuters Building and the One Canada Square building at Canary Wharf in London, UK. Canary Wharf is a major business district located in Tower Hamlets, East London. 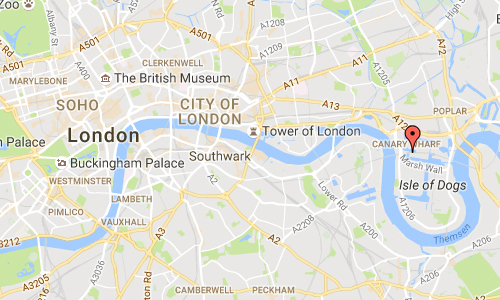 It is one of the United Kingdom’s two main financial centres – along with the traditional City of London – and contains many of Europe’s tallest buildings, including the second-tallest in the UK, One Canada Square. Canary Wharf is located on the West India Docks on the Isle of Dogs. From 1802 to 1939, the area was one of the busiest docks in the world. After the 1960s, the port industry began to decline, leading to all the docks being closed by 1980. Of the three main docks of the West India Docks, the Canary Wharf estate occupies part of the north side and the entire south side of the Import Dock (North Dock), both sides of the Export Dock (Middle Dock) and the north side of the South Dock. Canary Wharf itself takes its name from No. 32 berth of the West Wood Quay of the Import Dock. This was built in 1936 for Fruit Lines Ltd, a subsidiary of Fred Olsen Lines for the Mediterranean and Canary Islands fruit trade. 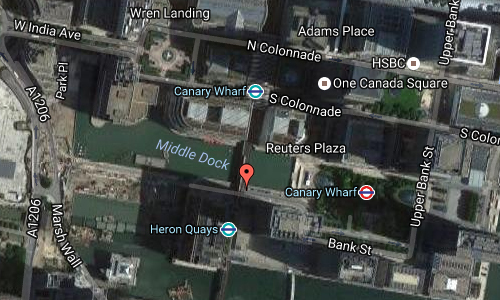 At their request, the quay and warehouse were given the name Canary Wharf. After the docks closed in 1980, the British Government adopted policies to stimulate redevelopment of the area, including the creation of the London Docklands Development Corporation in 1981 and the granting of Urban Enterprise Zone status to the Isle of Dogs in 1982. The Canary Wharf of today began when Michael von Clemm, former chairman of Credit Suisse First Boston (CSFB), came up with the idea to convert Canary Wharf into a back office. Initially, the City of London saw Canary Wharf as an existential threat. It modified its planning laws to expand the provision of new offices in the City of London, for example, creating offices above railway stations (Blackfriars) and roads (Alban Gate). The resulting oversupply of office space contributed to the failure of the No 1 Canada Square project. In 1997, some residents living on the Isle of Dogs launched a lawsuit against Canary Wharf Ltd for private nuisance because the tower interfered with television signals. The residents lost the case. More information at en.wikipedia.org, group.canarywharf.com and www.nycgovparks.org.